In the Olden Days of Blogging, I would have put up a post with 60 photos in it without a second thought. Well, I have grown. And I have experienced how vexing it is to try to read someone’s blog on a cheap smartphone with a limited data plan and lousy coverage. I’m dividing the second day of our trip into four parts, which should give you a hint of how momentous it was. Let us begin. We bid farewell to Lower Sabie Rest Camp moments after the gates opened in the early morning light and found ourselves merging with the local rush hour traffic. 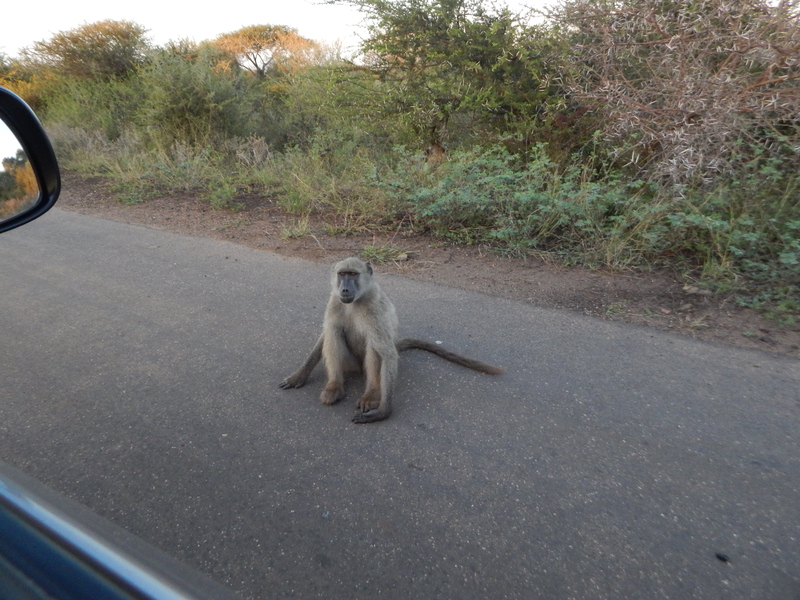 Baboons just out Lower Sabie Rest Camp gate. 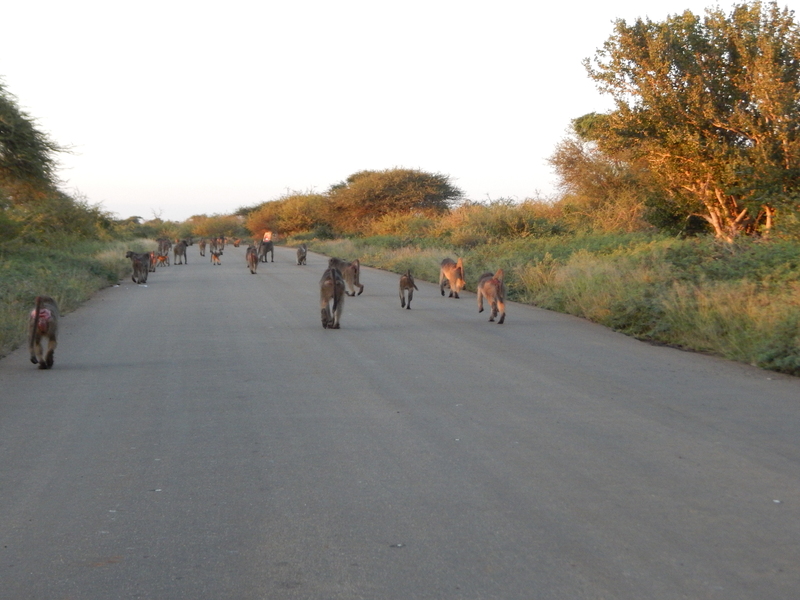 The troop of baboons lollygagged along the road, some of the little ones playing, which was adorable but made for blurry photos. Others just sat. I know, buddy, I know. I need more coffee, too. 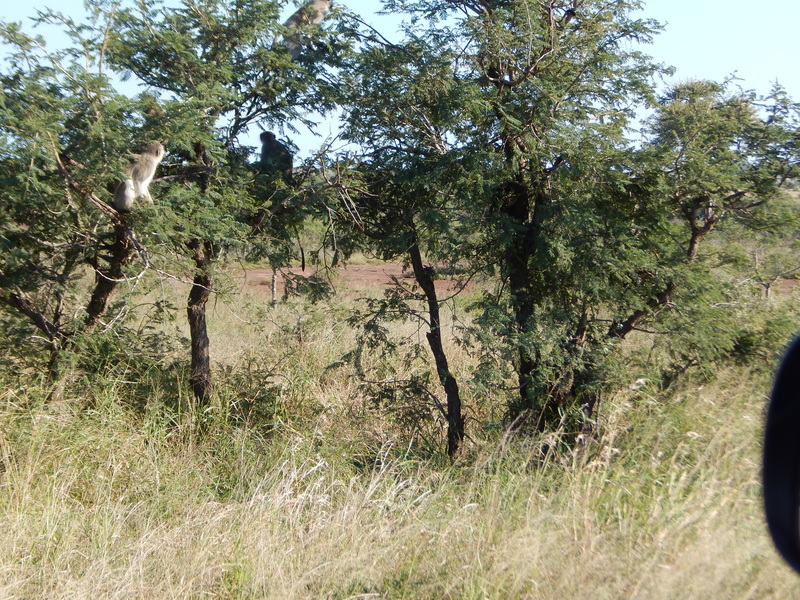 Shortly after leaving Lower Sabie, we crossed the Sabie itself (gorgeous) and got a view of the camp behind us. 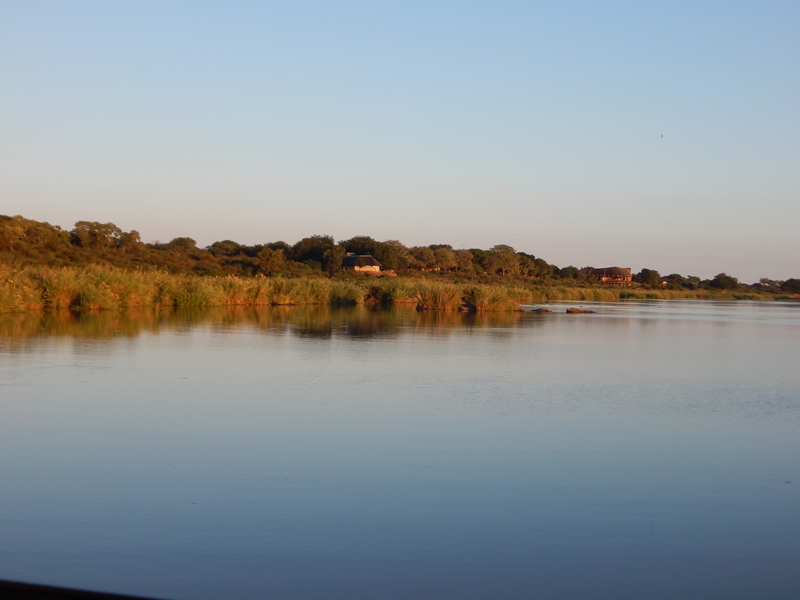 Lower Sabie Rest Camp on far bank of Sabie River. Throughout these posts, you’ll occasionally see a bit of car door or sideview mirror in the photo, tipping you off to the fact that the shot was taken from inside our car. Kruger and the other parks in South Africa strictly forbid visitors from alighting, as they call it, in any area not specifically designated as alightable. 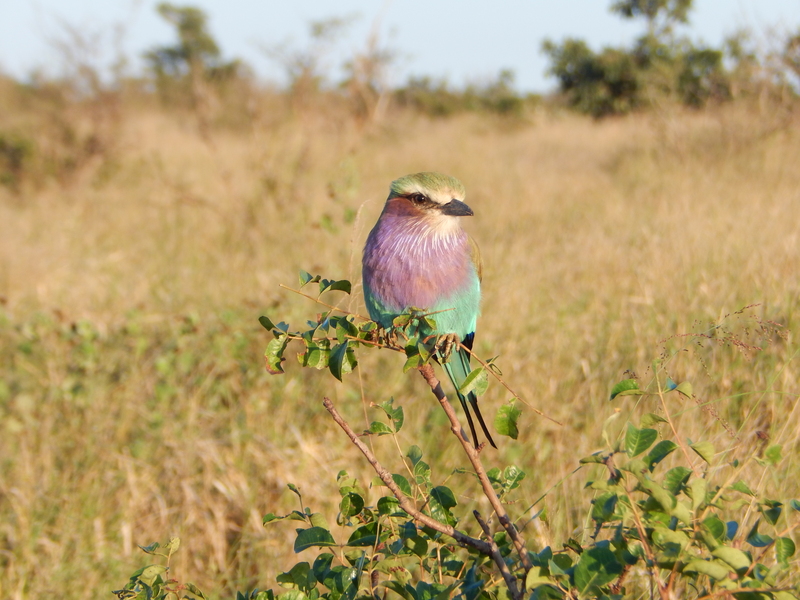 These are wild animals, folks, and they are all over the place and, as we learned from our encounter with the lions on our first night in Kruger, they are swift and silent. 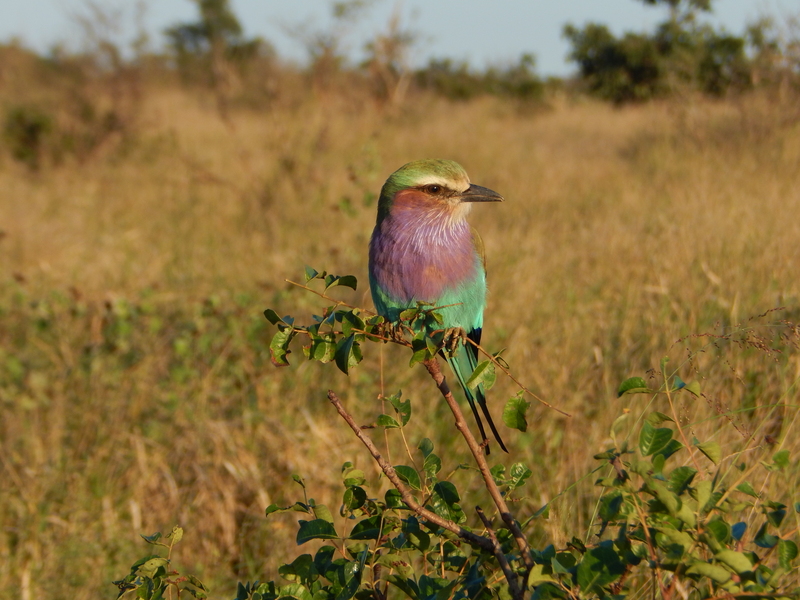 A word about birds: We enjoyed seeing them all over South Africa, but neither of us are birders, so we amused ourselves coming up with names. 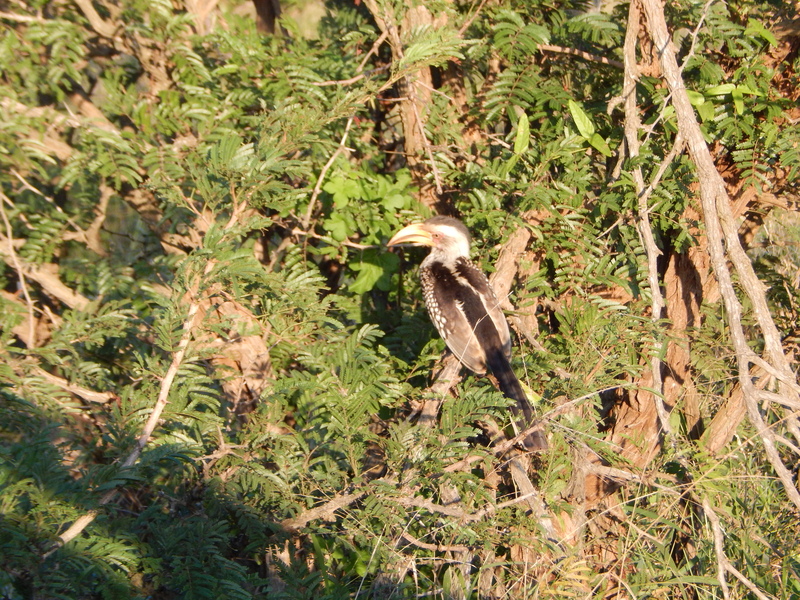 We thought we were clever calling the southern yellow-billed hornbill a banana bird until we learned that pretty much everyone calls it the banana bird. This guy was gorgeous, just hanging out on a roadside branch. I took an embarrassing number of photos of him. Another shot of the tie-dyed dinosaur. As we headed to Satara Rest Camp, we passed into the shadow of a large hill. 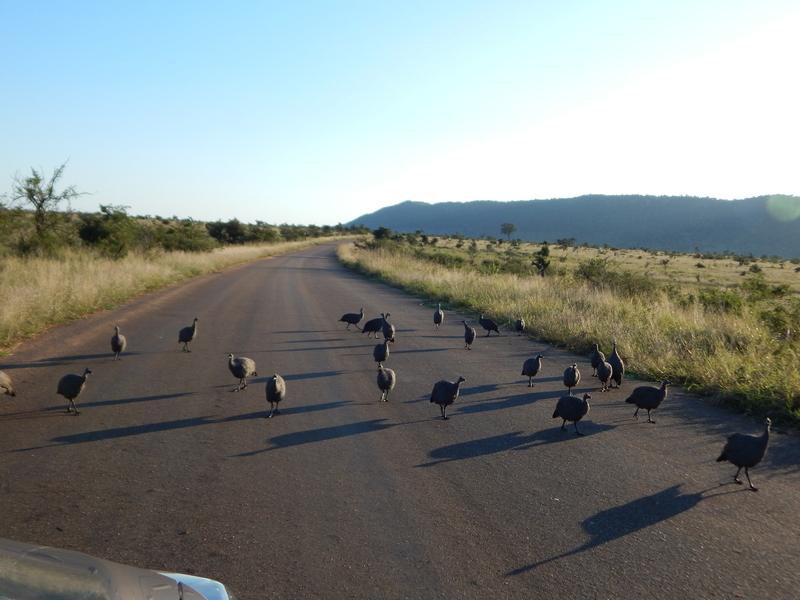 We were the only ones on the road — a fantastic surprise since many of the other traveler write-ups we’d read about Kruger complained about overcrowding. Tori, who is an excellent spotter, gasped “rhino!” and I slowed the car to a stop. 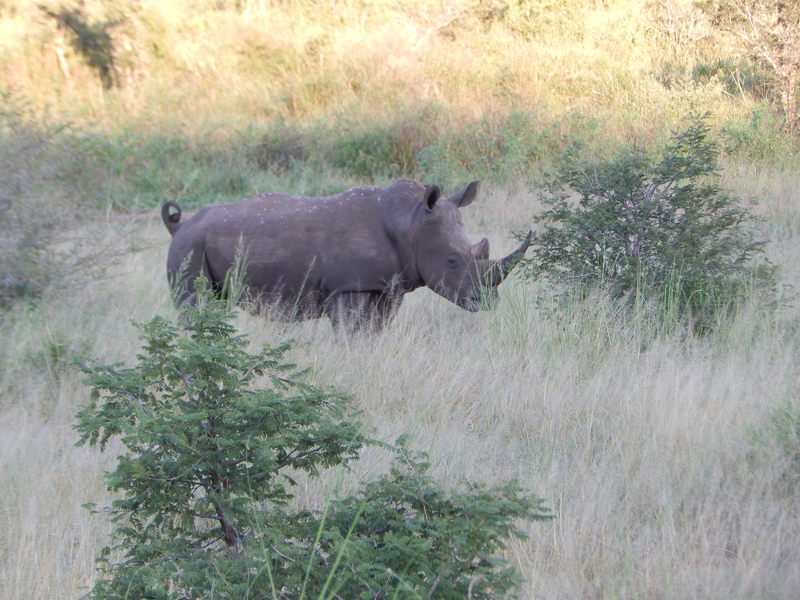 And there he was, grazing a ways off the road, a lovely white rhino all by his lonesome. Here is a white rhino. We sat in the car, quiet, just enjoying being in his presence. He was aware of us but didn’t seem threatened. 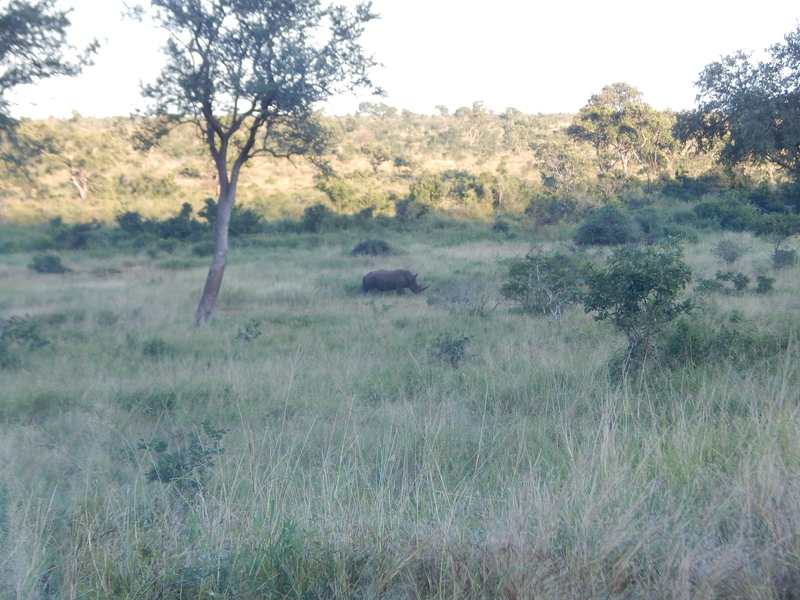 In fact, he slowly worked his way closer to the road and, as he neared, we could see he was following a track in the bush. White rhino looking for breakfast. Eventually, yes, he did cross the road right in front of us, peed in our general direction (I’m not taking it personally) and ambled off to the other side of the road. Have you ever noticed how rhinos have adorable piglet tails? The whole time I was watching him, I was thinking about how the odds are stacked against his kind. Throughout the national parks here, you’re asked to not post photos of rhinos live, and also to disable the GPS info on your images. It’s all about making rhinos less easy for poachers to find. But they still find them. Just in Kruger National Park, an average of eight rhinos per day are killed. For what? For their horns. For their horns that some stupid humans think have medicinal powers. Idiots. 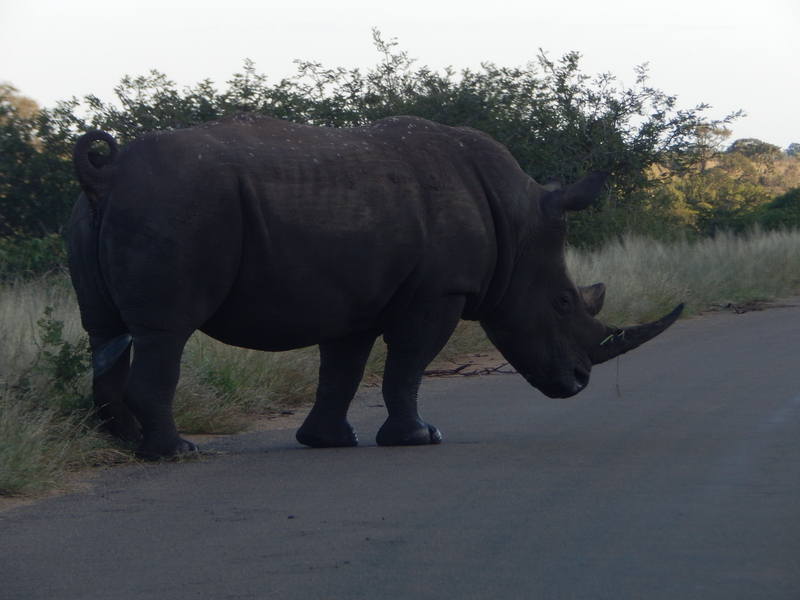 I was thinking about the bottomless idiocy found in my species when, a couple miles after parting ways with our first rhino, we saw two guys walking down the middle of the road. The road on which you are not supposed to alight. 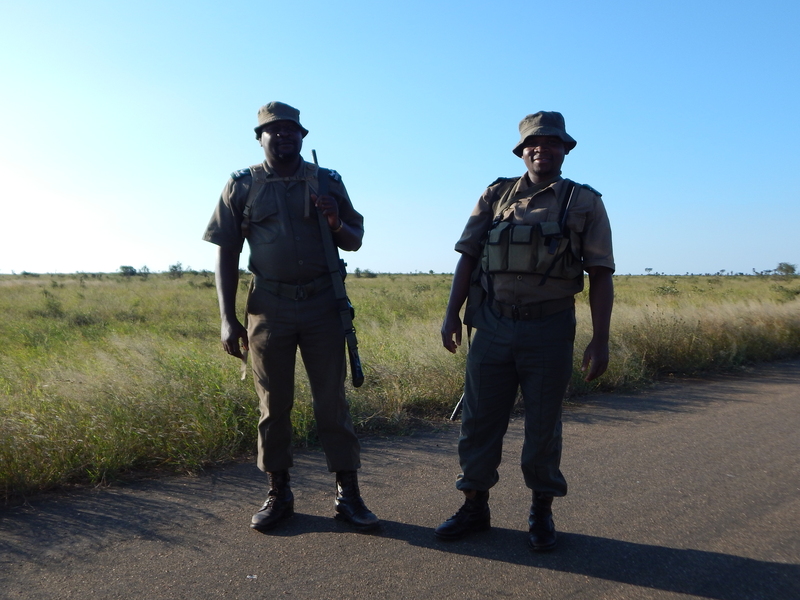 Rangers on patrol, Kruger National Park. We stopped and I asked if I could take their picture (they said yes). Turns out they were rangers on patrol. Without a common language it was hard to learn more from them, but the previous evening we’d seen a truck full of men in camouflage, with rifles, in the park. We’re pretty sure those men were part of the anti-poaching program, and I don’t think these guys were walking around selling Girl Scout cookies, you know? I salute you, gentlemen, for the work you do. Of course, the people doing the actual poaching are generally desperately poor local people given a gun and the promise of a lot of money (this per anecdotal accounts from other rangers we met along the way) by middlemen. The true villains are the people who believe that powdered rhino horn is of any benefit. Rhino horn only benefits rhinos. End of. As we continued on, I was trying to put images of senselessly murdered rhinos out of my head, since there was nothing I personally could do about it at the moment. The Marilyn Manson of the crane world? 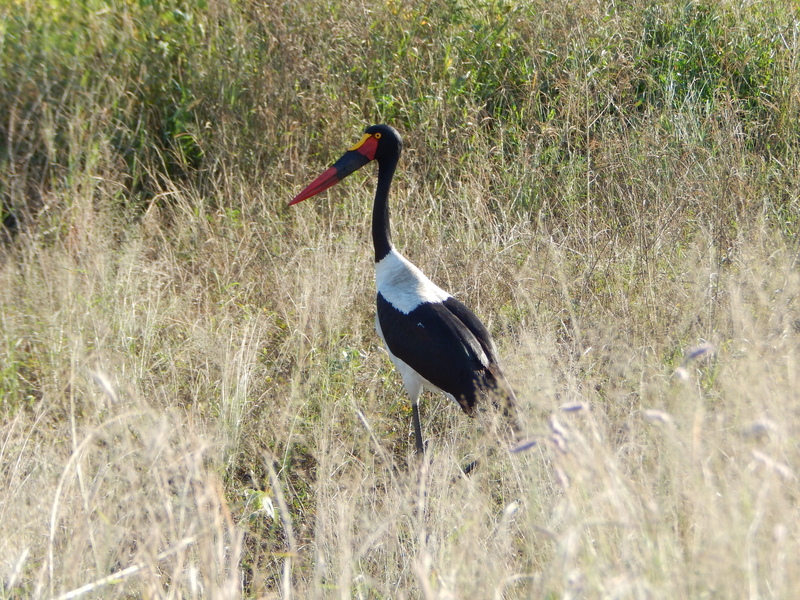 And just beyond the saddle-billed stork were a couple trees full of vervet monkeys. 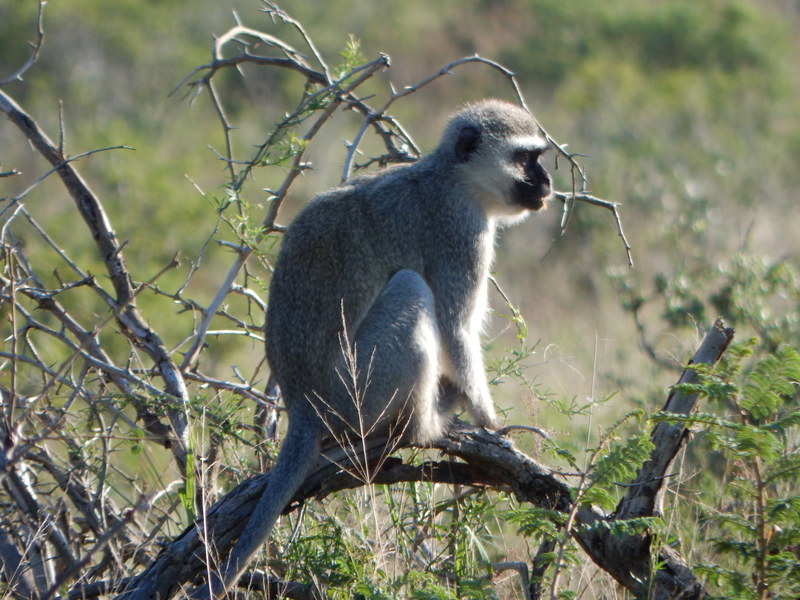 I’m not a huge monkey fan, but I enjoyed watching the young ones chasing each other and flinging themselves fearlessly from one branch to the next as if mocking my ability to take a photo of them that was not blurry. As we continued, Tori saw a tan smudge on a distant hill some ways off the road. Elephants. A whole herd of them. Pity we can’t get closer. 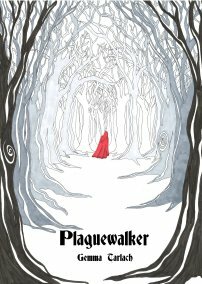 One man's dark journey to redemption, set in 14th century Bavaria. In Kindle and paperback. All images on this site copyright 2009-2017 by the author.